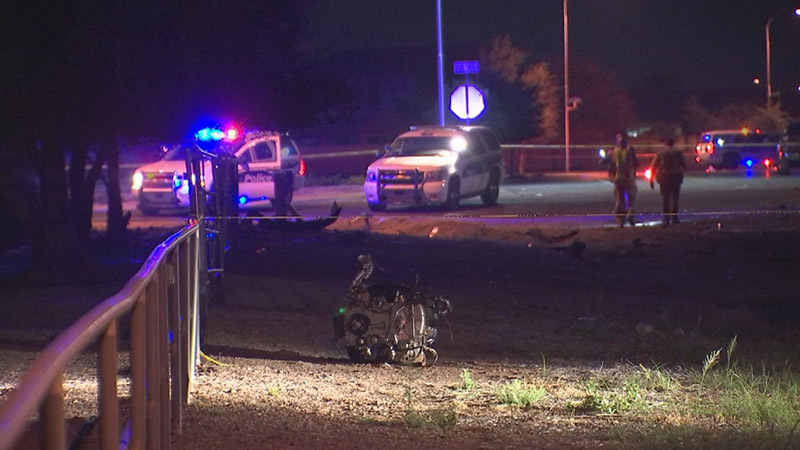 Laveen, Arizona—A man has died after failing to stop at a stop sign and colliding with another vehicle early Tuesday morning at 67th Avenue and Vineyard Road. The as-yet unidentified man is estimated to have been in his 30s. Phoenix Police Department accident investigators believe that the man was heading eastbound on Vineyard when he ran through a stop sign and collided with a woman who was traveling south on 67th Avenue. The force of the impact sent the 350 pound engine block from her car flying more than 30 feet. She is expected to recover from her injuries. Impairment and speed are considered factors contributing to the crash.